Mohican State Park in Ohio is a beautiful 1,110-acre park next to a state forest that is 4 times bigger. The woods are full of hemlock, beech, hickory, oak, maple, tulip poplar and cherry. There are other types of trees as well, but these are the most common. This weekend was a perfect time to be mushroom hunting in the woods. The rain was sporadic throughout the prior week and the daytime temperatures were between 60 and 80 degrees all week. Saturday began as a foggy cool morning, but quickly warmed up into the mid 70’s. 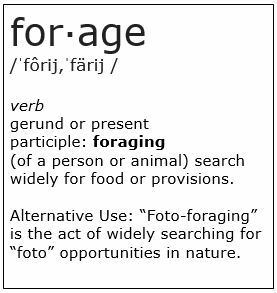 A small group of mushroom hunting enthusiasts descended upon the forest near Loudonville, Ohio. The group was made up of young and older (both in age and experience) mushroom hunters and a couple canine friends. It was a great mix. I will write other posts after this to talk more about our hike and show some of the photos that I took. For now, I would like to focus on one mushroom that we found. When I am wandering in these woods, I am always on the lookout for fallen beech trees in order to find a treasure called Hericium americanum. 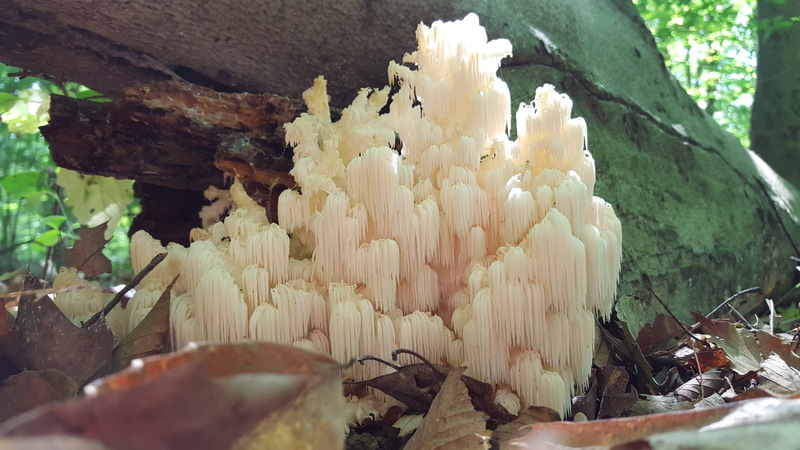 The common name is an ongoing dispute, so when you are talking about it, use the name “Bear’s Head Tooth Fungus” or “Lion’s Mane” or just make up your own. 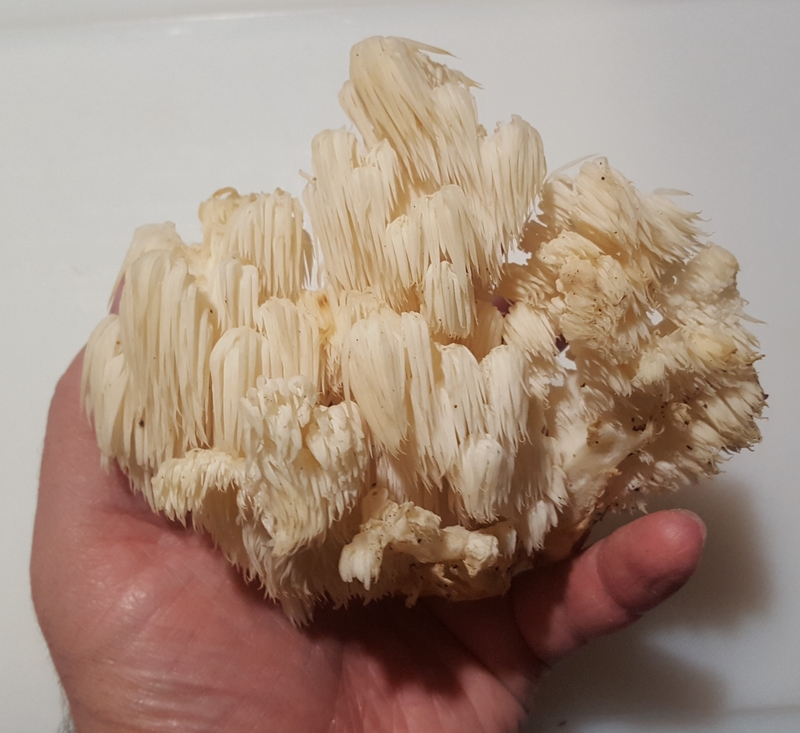 The main one to remember is the Latin name – “Hericium americanum.” A number of people in the group found these throughout the day. A sharp-eyed hunter in our group found the one I photographed below and was nice enough to allow me to take it home for dinner. I cooked it up using a great recipe from this group in North Carolina. 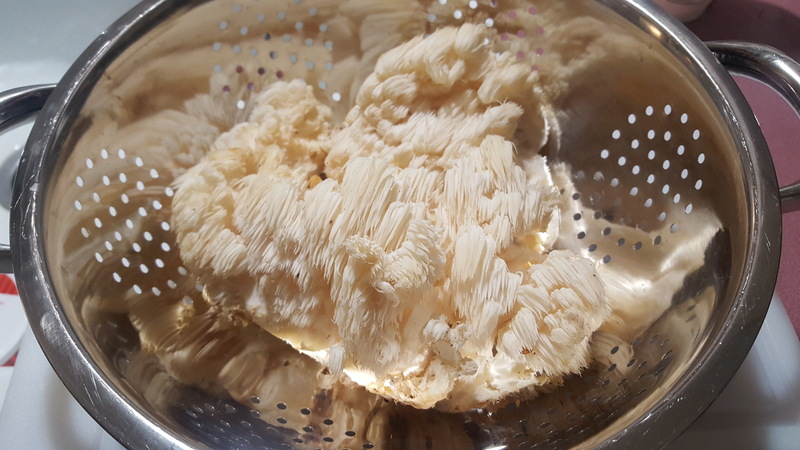 Pull or cut the Hericium mushroom into large pieces. 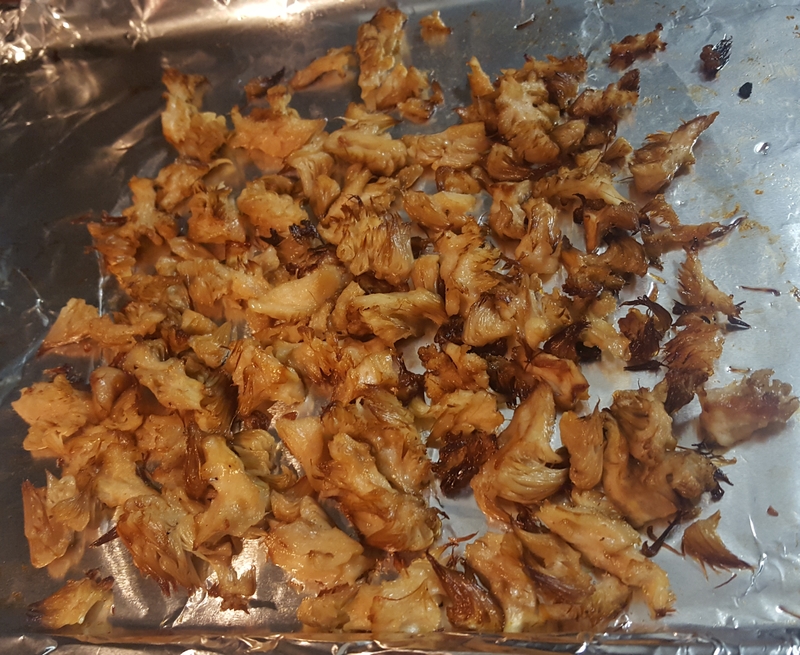 Line cookie sheet with aluminum foil, and toss the Hericium mushroom with olive oil and minced garlic. Roast at 350 degrees for 30-40 mins. Turn halfway through. Note: the mushroom chunks will shrink substantially. 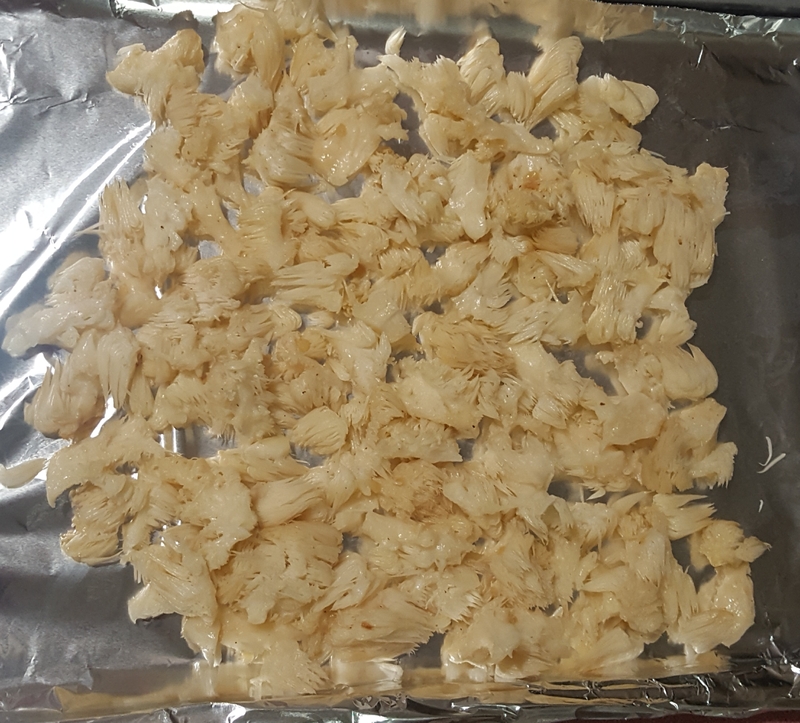 Once the Hericium and garlic mixture is cooked, cool for a few minutes, and then put in food processor and pulse 4-5 times until mix is broken down in smaller chunks. 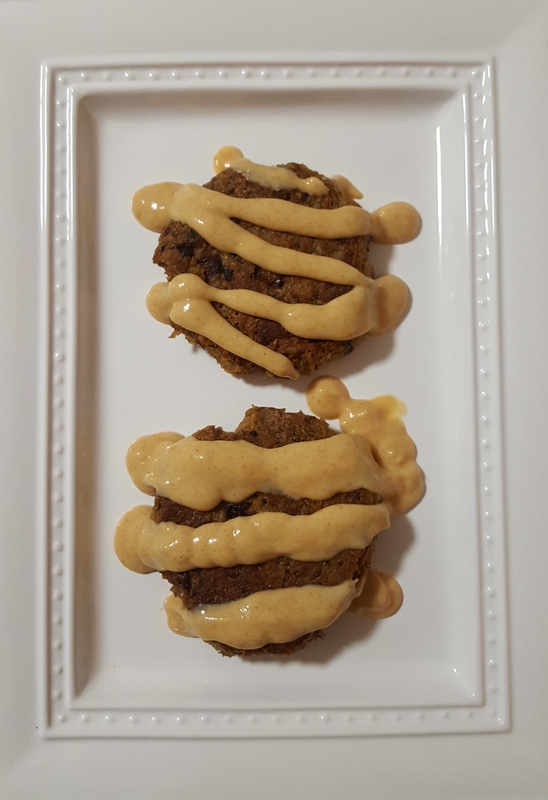 Decide what size you would like for your “crab” cakes to be, and then measure equal portions of crab cakes. With your hands, form into cakes. 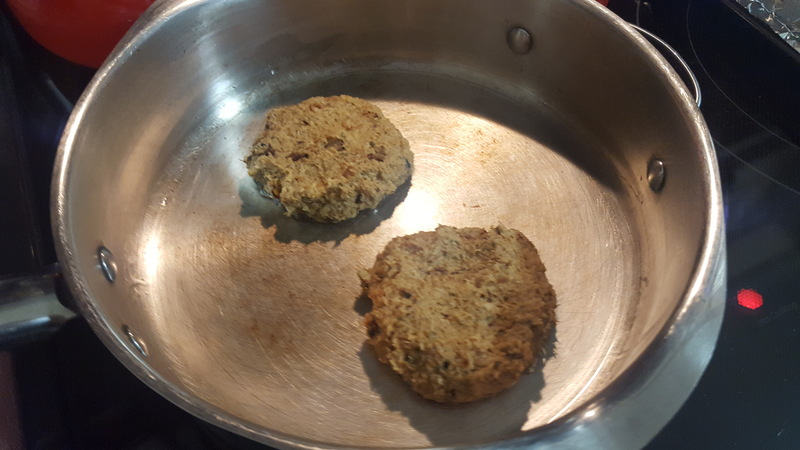 Vegan = Use aquafaba in place of the egg. (not sure what that is). Soy or coconut yogurt can be substituted for Greek yogurt. Here are some of my photos. 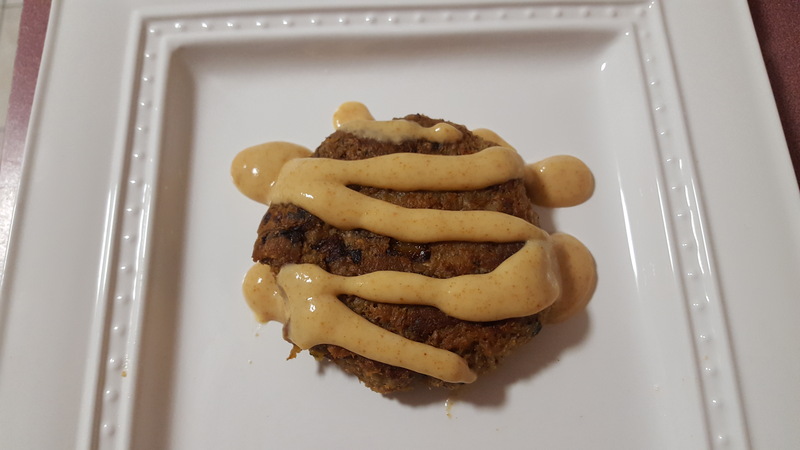 The “Crab Cakes” turned out VERY good, although I could use a little training on how to “plate” with style. Ok, did your wife partake? That looks amazing! Thought of you at the Mother Earth News Fair. Lots of booths with starter mushroom logs. Very intriguing. Yes she did, reluctantly, although she actually enjoyed it and sampled the leftovers as well.